Google's campus in Cambridge, Massachusetts, is known for engineering, sales and for being a rewarding workplace. Like its other office parks, the Cambridge campus is also know for amazing cafes for its employees. Lunch hour certainly doesn't include sloppy cafeteria fare, but rather flavorful items that take sourcing and seasonality into account. Fresh juices, savory vegetarian options and delightful desserts are served up daily. All the food is free to employees, but what happens to the delectable leftovers? Since March, Google's Cambridge campus has partnered with Food for Free, a nonprofit organization that has been rescuing food and distributing it within its local emergency food distribution network since 1981. In particular, Food For Free is concerned not just about ensuring that local residents have enough calories, but that they also have access to healthy foods to prevent obesity and diet-related diseases. The organization distributed 2 million pounds of food in 2015 but sees opportunities to expand its reach with healthy prepared foods from university and corporate dining halls. In March 2014, Food For Free stumbled upon some useful information that allowed it to expand its reach. During its weekly grocery donation pickup with Whole Foods, the organization was also given large frozen bags of surplus prepared foods. It jumped at the opportunity to prevent this healthy food from being composted, but Food for Free staffers hadn't previously realized this was an option. "We hadn’t known that it was possible to donate prepared food and we were delighted by the possibility," said Sasha Purpura, executive director of Food For Free. "We brought the idea to Harvard University, and they were eager to move from compost to donation." Now two years later, Food For Free has figured out how to take the large bags of frozen, donated food and repackage it into individual, reheatable meals. Food for Free is the first organization in its area that rescues and repackages prepared foods in this way, creating a new model that other organizations can follow. This innovative program allows less food to be wasted and enables Food for Free to increase its scale and impact in the local community by reaching populations that can’t cook their own meals, due to lack of access to a kitchen, time constraints or other barriers. The organization also partners with the Federal Reserve Bank of Boston, Tufts University, Emmanuel College and the Massachusetts Institute of Technology. The benefits of corporations donating prepared foods are numerous. "The two most tangible benefits are the tax incentives and the waste hauling costs," Purpura told us. "The softer benefits are employee engagement. Food rescue and food waste has become a very central issues nationwide [with increased emphasis from the Obama administration and the Environmental Protection Agency]. It touches everyone." In the Environmental Protection Agency's Food Recovery Hierarchy, source reduction is ranked the highest, or most preferable, option -- followed by feeding hungry people. Food For Free's partnerships with corporations and universities has achieved both. 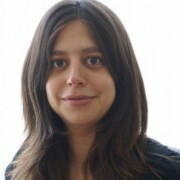 In fact, Purpura found that some organizations donated less prepared food from dining halls over time, which she believes is in response to greater understanding of the quantity of wasted food and the actual amounts that were needed gleaned from bagging excess food for donation. 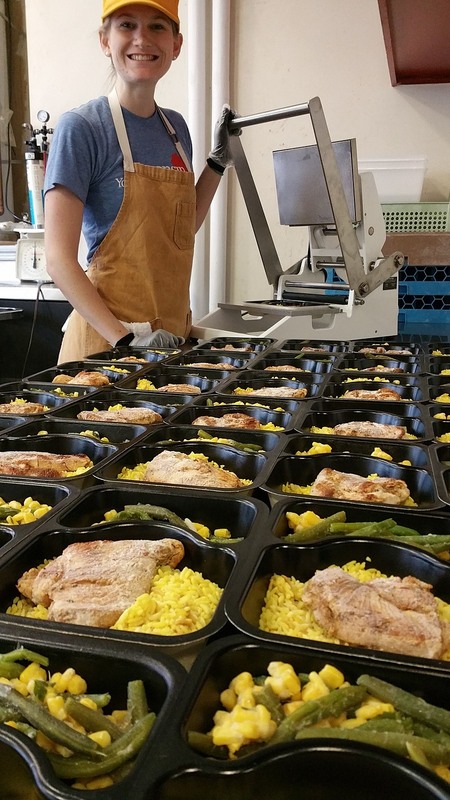 Donating surplus prepared foods has an immense impact on dining halls employees -- and indeed their entire organizations, whether they're universities or corporations. As awareness and concern about food waste increases, many dining hall staff may be upset by throwing out hundreds of pounds of quality food per week. Purpura also sees donation as a great on-site volunteer opportunity for employees. Now that several distinguished organizations make weekly donations of frozen prepared foods to Food For Free, Purpura expects the program to expand. "Donating prepared foods is a new thing for many companies," she said. "They are not necessarily sure that it is doable and legal. It is very helpful that we can now provide them with examples of respected organizations that are implementing this."